» Moncler vs Canada Goose Jackets – Which Brand is Better? Moncler vs Canada Goose Jackets – Which Brand is Better? As winter comes, we all start to dread the approaching achy season. Winters deliver the kind of cold that gives you a horrible feeling, and there is nothing you can do when you’re stuck in a cheaply-manufactured jacket that does nothing against the wind chill and extreme temperatures. That horrid feeling of wet windchill that feels like it’s seeping straight into your bones is possibly one of the worst feelings ever. Typically, most companies that produce outerwear for extremely brutal nights focus almost exclusively on functionality at the expense of an aesthetic appeal. This is why jackets that you buy from other brands can look far too bulky, oversized and unwieldy. However, there are two huge companies who seem to have gotten the delicate art of balancing style and functionality perfectly well: Moncler and Canada Goose. This is why both these high-end competitors produce high-end lifestyle fashion statements for you to face the winter not just with style and pizzazz, but also with a nice warm coat that keeps you toasty inside. Why Are Expensive Jackets Suddenly Popular? What Goes Into Making A Moncler Jacket? What Goes Into Making A Canada Goose Jacket? Why Do People Love Canada Goose Jackets? 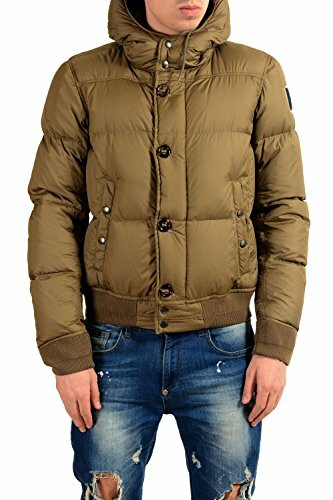 Are these jackets well worth the price? We may be inching towards this time of the year, but this is all the more reason to dive into an in-depth review about which winter coat you need to be looking forward to this winter in 2019. This is for two reasons. Firstly, you will need to plan ahead to buy the coats we are going to show you since they are essentially statement pieces and hence, would probably put a dent in your budget if you weren’t planning ahead to buy it. And secondly, this is the time companies usually prepare for putting their items on sale, which is definitely something you must take advantage of. Often, you can get a lot of winter wear for up to 50% off in these seasons! Talk about a great deal. Moncler is Italian winter wear and general apparel manufacturer and lifestyle brand founded in 1952, by Rene Ramillon. It is one of the most famous brands in the world for its outerwear, down jackets and sportswear. This name is an abbreviation of Monestier-de-Clermont, a village near Grenoble in the mountains. The first quilted jackets were created in order to protect the workers from the cold. They would use jackets on top of their overalls in the small mountain establishments. Moncler is famous for a multitude of impressive feats that it has achieved. In 1954, for example, Moncler jackets were used to equip the Italian expedition to K2. Moncler has also accompanied the French expedition which got to the summit of Makalu in 1995. They were also the official suppliers for expeditions conducted in Alaska organized by Lionel Terray in 1964. In the beginning, the brand established itself as a seller for sleeping bags and tents, and then later diversified into created jackets for the workers above. Over time, Moncler has established itself as a luxury brand, which provides the world with high-end outerwear fashion and designs and manufactures some of the best in winter wear that the world has seen, making them a formidable competition to Canada Goose and other similar companies. In addition to that, they come with a price tag that would bring a smile to your face if you are not a fan of Canada Goose because of their pricing. Unlike Canada Goose which manufactures and designs its products in Canada and bring their raw materials from all over North America and Canada, Moncler manufactures in jackets in eastern Europe primarily, namely in places such as Armenia, Bulgaria, Moldova, Hungary, Georgia, and Romania. This means that in spite of being an Italian company that started in France, it does not manufacture any of its products in either of these countries, aside from the small and limited collections that are made in Italy. They use Japanese nylon as their main fabric. This provides mild weather protection from the harsh winters and it is also a highly durable fabric. Just like Canada Goose, Moncler also uses white goose down for their own products, in the important ratio of 90% to 10% which is considered by all these companies to be the best ratio you can get in the market. Another similarity is the use of fur trim in some of their parkas and jackets, which is also sourced from coyotes and is usually a removable trim. 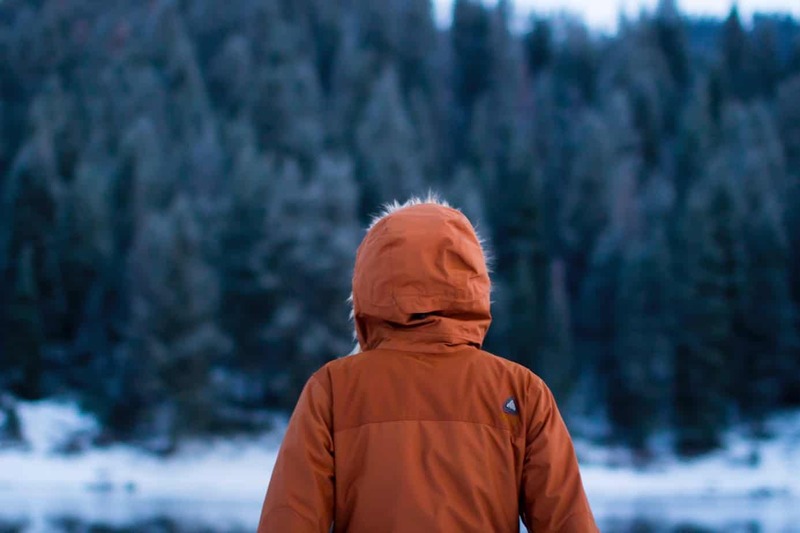 If you live in a country which faces extremely harsh and cold winters, this fabulous brand should be your go-to option for choosing the warmest and most comfortable jacket out there. Even though spending this much money on a mere jacket seems like a waste, we can assure you that that money will definitely be well-spent considering you are getting the best in the world in terms of design, build quality, durability, and insulation, as well as the quality of the down feathers. Now let’s look at a Moncler jacket to get an idea of what we are talking about. The most popular one on the market right now is the Alberic hooded parka, which is a down parka made of 100% nylon. This is a luxurious and warm quilted parka, which comes with an adjustable hood and rib-knitted sleeve cuffs to wrap around your wrist perfectly to give you the best protection available. There are two side pockets with snap button closures on the sides and a buttoned storm placket that covers and protects the central zippers. It is a puffer jacket in style and it also comes with an elasticized and knitted hem that provides a better fit. These jackets are water repellent, waterproof, windproof, breathable, and air permeable while maintaining warmth through their down insulation. They come with pockets that protect your hands when needed. The jackets are compressible which allows for great storage. They are constructed from premium Canadian Hutterite down insulation which is then covered with a quilted, rip-stop nylon shell that gives you absolute protection against the wind chill factor. The collars are also filled with down insulation and come with a drawstring that you can easily tighten and tie up, to prevent the wind from blowing down your back. The jackets come with an adjustable tunnel hood that can be adjusted from both ends, either vertically or from the opening of the hood. The hoods also come with a coyote fur trim, which has a wire inside it for added sturdiness. Moncler is definitely not an affordable brand by any means. The average price range of Moncler designs can often go as high as $2000. At such a price, you may wonder if it is really worth it to buy these jackets. In the case of Canada Goose, the answer is quite a clear cut one. This is because it offers a clear cut idea of its quality and performance, however, the same cannot be said for Moncler. Providing customers with intricate and technologically advanced textiles, from light jackets for their spring and autumn collection, to full coverage that can keep you toasty warm even in sub-zero temperatures, you cannot rely on many other brands to consistently give you the highest build quality and aesthetic appeal for all of their products the way you can on Moncler. Their outerwear has been tried and tested for functionality in all kinds of weather, from rain to sleet, or snow. The fur-trimmed hood does an amazing job at protecting your ears and face from the cold and the wind chill, even when you aren’t wearing it. It can trap your radiant body heat into it, so when you are wearing it you will simply feel like you are in a nice toasty environment. Winter itself will turn into a completely different experience for you. Early morning walks become pleasant and breezy for you since the early morning humidity causing wind chill really cannot get to you through these jackets. The protection against wind chill is truly incredible. Their winter coats are more focused around being stylish and trendy, especially the modern ones, and the previous designs that were made with the purpose of shielding from arctic temperatures seem to have been left behind, in a way. All of us in the world have heard of Canada Goose. This company is responsible for manufacturing one of the most expensive winter clothes, aside from Moncler. However, Canada Goose seems to be absolutely committed to producing the best winter weather outerwear in the world. Their collection of down feather-insulated and travel-inspired stylish outerwear can protect you in the coldest and harshest of conditions, according to the owner of the company, David Reiss. The Canada Goose Expedition Parka, for example, was developed for expeditionists and scientists in the 1980s who worked in Antarctica. This jacket supported their expedition and kept them warm even in the sub-zero temperatures of Antarctica. It was given the nickname Big Red and became a standard issue soon afterward, because of popular demand. This company is based in Canada itself, with headquarters in Toronto, Ontario, Canada. However, the retail stores are spread out from the United States in Chicago, New York, and Boston, to Canada in Montreal, Calgary, and Vancouver, to London, Stockholm and even Tokyo. The circular red, white and blue brand logo is popular because it’s “a reverse image of the North Pole with the white representing the ocean, islands represented by blue and encircled by red lines of longitude to make it look like a map of the Arctic. You can find the brand usually placed on the upper arm of their jackets or coats, and it can really make you feel like a part of something bigger, similar to other high-end brands. In case you’re the type of person who wants to purchase a jacket or coat for life, or at least for many years, there is truly no point to spending a large fraction of that money on some low-quality jacket with synthetic down feathers, that has also been outsourced to Asia for cheaper manufacturing rates and simply does not deserve the kind of money you are throwing at it. Canada Goose is a truly valuable purchase but it is totally worth it. After all, if the only criteria you were measuring the greatness of a product was through money, you would rate a cheap synthetic parka the highest and be done with it. Canada Goose jackets are used by expeditionists and haulers in Alaska and those who work in the far-flung icy cold parts of the world. It is manufactured to keep you perfectly warm in the coldest possible parts of the world. And in case you are looking to purchase a winter jacket that is manufactured to do exactly that, spending what you would spend on a gadget doesn’t seem like that much of a big deal considering the superior build quality that you’ll be getting from the product. For the folks who claim that you’re just paying for their brand name, this isn’t true either. For one, jackets in general really are just this expensive. The manufacturing process for a jacket is long and complicated and considering the fact that most people buying a jacket wish to opt for natural down that requires real animal feathers, and animal fur around your neck as well, the prices don’t seem that atrocious if you consider the quality you’re getting in return. The expense you are paying for is the fur on the hoods that is extremely expensive, and that is if you only consider the manufacturing expense. Considering Canada Goose does not outsource its manufacturing process outside Canada to cheaper countries where other brands would easily exploit the poverty in Asia by severely underpaying the people there, Canada Goose stays true to its brand. This is the true value of their jackets. That combined with a selection that is so expansive that it will leave you so totally confused that you will not be able to choose which one to take home, Canada Goose is truly a great investment if you wish to buy a winter coat. The tiny details you will find in your Canada Goose jacket are unparalleled in quality and build material and attention to detail. There is a little wire that goes around the hood that keeps the fur-trimmed hood totally rigid and prevents it from folding over behind your back when you’re out and about. There is also a robust and high-quality metal zipper that can be accessed easily enough even if you are wearing gloves or mittens in the cold. Some Canada Goose jackets also come with convenient pairs of pockets on either side lined with fleece for your cold hands, so you can just stick your hands into the jackets to feel warm because of the fleece again. Another great detail is the thick chin-protector around the neck area that is extremely convenient and useful to use, and there aren’t many substitutes for these details if you opt for a different brand of jackets. You might notice, for example, that when you look at some of Canada Goose parkas, each description will tell you something called a fill power of the down. Fill power refers to a means of describing the exact amount of space that the down occupies in inches. The more the fill power of the jacket, the larger the clusters of down that will result in more volume of air being trapped per square inch. As we already know, warm air is the insulating material that is used to retain heat and protect us from wind chill factor when we are out and about and about in our cold, harsh surroundings. This means that there is a higher insulation capacity of the down in question. The fur-trimmed hood does an amazing job at protecting your ears and face from the cold and the wind chill, even when you aren’t wearing it. It can trap your radiant body heat into it, so when you are wearing it you will simply feel like you are in a nice toasty environment. No wonder miners in Alaska wear this underneath the ground, this is the kind of jacket that can offer you protection even when it’s -20°C outside. The length of the zipper is also protected from the outside cold winds, which means that the zipper itself will not leak cold into the jacket making you feel cold. This is another feature that is usually not talked about enough when you consider the fact that Canada Goose makes all-purpose winter jackets and coats: it’s waterproofing ability. Canada Goose jackets are made of high-quality water-resistant shells and will protect you from any kind of downpour, even if you are stuck outside in the middle of a storm, with the kind of ease that few other brands will be able to boast of. High-quality build material: The parkas are constructed from high-quality goose down sourced from Canada itself, harvested by Hutterite farmers, and the jackets also come with a removable coyote fur-trimmed hood. Durability: People especially loved the stitch and sew quality, the high-end fabric and it was very obvious that the jackets would last for quite a long time. Many said that they viewed the jacket as an investment for many years. Made In Canada: People especially liked the fact that the entire manufacturing process was restricted to Canada to provide employment to Canadians, and it was not some cheap coat made in China. Lifetime Guarantee: Canada Goose jackets offer a warranty to its original owner against all defects in materials and workmanship for the lifetime of the product. This makes it seem like a more reliable choice in jackets. Fashionable: After seeing it in so many movies and worn by so many celebrities in real life, it has become a fashion icon that people want to wear these stylish jackets. Warmth without Bulk: People loved the fact that the coats and jackets are extremely warm and yet are very lightweight, because of the high quality of down feathers used in it. As a matter of fact, you will be surprised to hear that the Canada Goose jackets are so warm that if you wear these and go for an adventure sports activity, such as skiing, they will actually make you sweat. This is also why they are not recommended for adventure sports of any kind or any continuous sporting activity. Canada Goose also specializes in providing cuts and seams that are unparalleled in seamlessness and quality. If you look at the shoulders for any of the designs, you will find that the seams and stitches have been designed and executed perfectly to make the jacket absolutely leak-proof even if you go out in pouring rains. Even the most tight-fitting designs seem to have been worked on meticulously and have incredible build quality. The cold winds will not seep up through the sleeves and zippers or even the hood, which is a testament to their high-quality adherence to these minor details. One thing you may have to keep in mind is to choose the parka that is right for you and pick the correct size. If it has been chosen according to your size, the parka lies perfectly on your shoulders and looks extremely aesthetically flattering as well, even for such a bulky and warm design. Therefore, in case you live in a country which faces extremely harsh and cold winters, this fabulous brand should be your go-to option for choosing the warmest and most comfortable jacket out there. 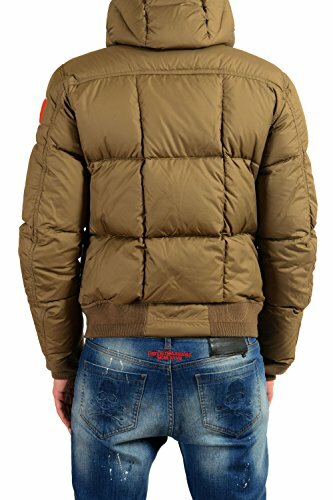 Even though spending this much money on a mere jacket seems like a waste, we can assure you that that money will definitely be well-spent considering you are getting the best in the world in terms of design, build quality, durability, and insulation, as well as the quality of the down and the fur-trimmed hood. You will surely find yourself wearing this brand of jacket everywhere you go, no matter what kind of winter you have this year since it is an absolutely indispensable item in your wardrobe that cannot easily be replaced with anything else when it’s freezing cold outside. It can easily live up to its promise of keeping you toasty warm even in sub-zero weather outside. One important thing to remember when you are making your choice from the above list about which category to filter out is that everybody experiences temperature changes differently, based on a variety of factors such as acclimatisation, body muscle to body fat ratio, fitness levels, ethnicity, amount of sleep, level of hydration, how you prefer to layer your clothing, and level of activity and many more. The designations are a general guideline and should not be taken as the only truth. Most of Canada Goose’s jackets are extremely popular, however, for the sake of this article we have mostly kept our focus on the Expedition Parka since this is considered across the internet to be the base staple of this brand and a great way to showcase this brand’s high quality. One example of this is the Langford Parka which is a great design in jackets for men. Langford has a hooded collar which is also lined with a luxurious fur-trim. This parka will reach till your hips if you are an average height man. It also comes with two side pockets and two waist pockets in case you need to warm your hands in them. In addition to this, this parka also comes with two inside pockets for security and drop-in pocket. It comes with wrist gaiters and has a full-length front zipper, which is covered with a storm flap that keeps water and snow from seeping through the jacket making you cold and uncomfortable. It is available in the colors limestone, black, military green and tan. With respect to the price, both these brands are extraordinarily expensive. A lot of people see these brands as the jacket versions of Apple products. Whether or not you agree with this statement, you will definitely agree that these prices are far above any in the market. However, if you actually compare the price to quality, Canada Goose comes out way on top and surpasses Moncler by a large margin. 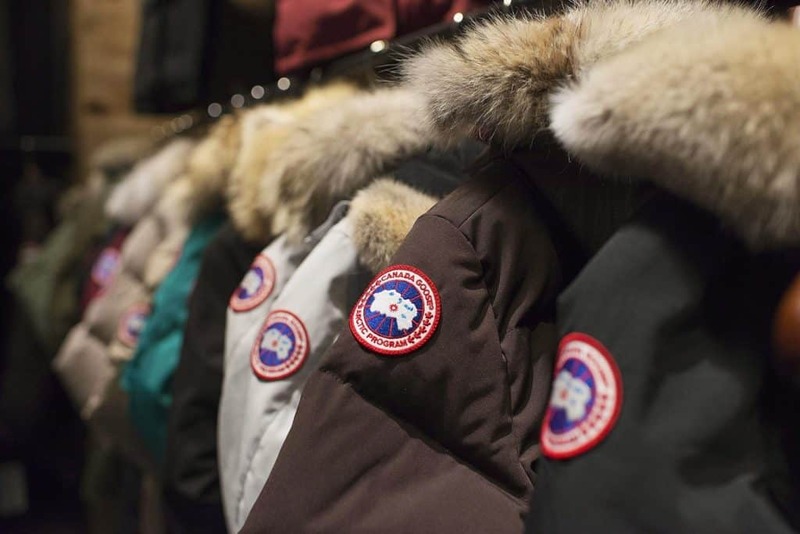 With respect to the quality of manufacturing, nothing really beats Canada Goose. The excellent and unparalleled quality and craftsmanship are what has made this brand and the jackets so extremely popular. When people see that these are the kind of jackets that can very easily last someone a whole lifetime, they quickly get convinced that Canada Goose jackets are truly worth the long-term investment you are making with respect to winter wear. When you figure out that this is a brand that will last for many years and you are essentially paying an undeferred expense, the question with respect to whether or not Canada Goose jackets are worth it is obvious. However, that being said, Canada Goose jackets can tend to have a more gloomy and plain appearance, and they can look very similar to each other. If you care about wanting to stand out and value style over performance and wish to opt for designs that are primarily aesthetically appealing, then Moncler has the better option for you. No matter which brand you side with, luxury coats are definitely an in thing that you will not regret purchasing. 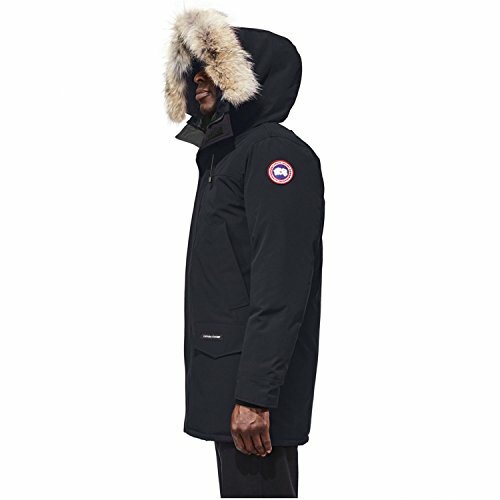 Canada Goose jackets also tend to be more affordable than Moncler, in spite of the obvious difference in build quality. If you don’t mind the price tag, however, and wish to opt for the more vibrant and beautiful designs on a Moncler, then you can definitely opt for this brand. It ultimately comes down to your personal preferences and what you would like in your winter jacket. 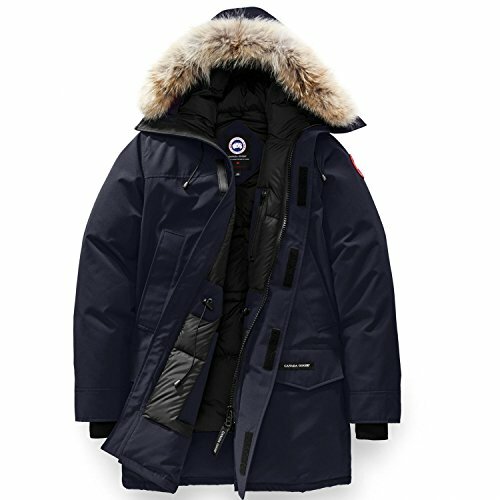 The overwhelming consensus across the internet has always been a resounding “yes.” On average, a Moncler or Canada Goose jacket can range from anything between $500 to $1200, depending on which style and options you are choosing from. You may wonder if this purchase is truly worth the high price tag that it comes with. With regards to their quality and performance, both these brands show excellence from the manufacturing process, the testing, the insulation, the quality of fabrics and build quality, durability, jacket performance, comfort, coziness, warmth, and general weather-resistance. If you are the kind of person who wants to buy a jacket for life, or at least for many, many years, there really is absolutely no point in spending half that money on some lower quality jacket with synthetic down feathers, that has also been outsourced to a third-world country and simply does not deserve the kind of money you are throwing at it. Just count how many winter coats have come and gone through your wardrobe because firstly, they didn’t have a high enough build quality to withstand wear and tear, or because they simply couldn’t hold up when the thermometers dropped? Jackets that are relatively expensive, but that have the high build quality that you are looking for, are really a valuable purchase and so worth it. Your perfect winter coat needs to essentially be the “last coat you buy.” That sounds like an ominous statement, but it’s actually just an emphasis on how high-quality coats will last you more than one season, over several years, and if maintained properly, possibly for the rest of your life. You cannot fake a good make. There is real science at play here, that keeps you warm. When you opt for cheaper brands in outerwear jackets and coats, you will find that they do offer some down options, but they also manufacture jackets that are made from synthetic materials. Many of the cheaper jackets are insulated using new and recycled polyester. While there are definitely advantages to using polyester, such as the fact that it is water resistant, however, it offers far less insulation per ounce and hence will not provide you with nearly the kind of protection that high-end brands like Canada Goose or Moncler can provide. 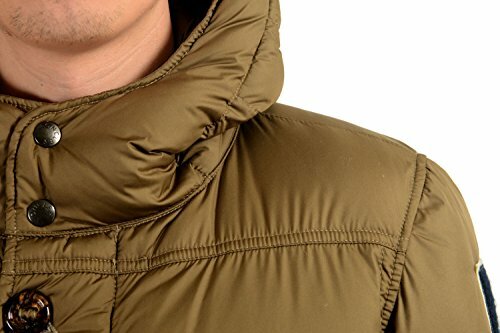 In addition, it is also far less durable – synthetic fibers can tend to clump together very easily especially when wet, causing uneven dispersion and creating pockets of areas where the cold can leak through into your jacket making you cold and compromising the quality of insulation in the process. These jackets may definitely not be for everyone. If you believe in ethically sourced products that do not use any animal-sourced materials whatsoever, or if you simply do not live in an area where high insulated jackets are of need for you, then these jackets will not be as useful and hence as worth the investment. If you take these things into consideration, then these jackets are definitely the right choice for you to be making! Your outerwear gear need not make you look frumpy or make you feel like you are the Michelin man. Splurge some of your money on something that you actually look forward to putting on, and feel good carrying. A good coat that performs well while also complementing your personal style can make getting bundled feel like a privilege rather than a chore. You will simply not have to worry about winter anymore. That concludes this article. Please let us know which brand you prefer and why. We would love to hear from you!